Sun., March 4, 2018, 9:28 p.m.
SEATTLE – All day long, Oregon coach Kelly Graves noticed something a little different about Pac-12 player of the year Sabrina Ionescu. It wasn’t something that could be defined, just something the coach noticed about his star player. Now Graves, the former Gonzaga coach, knows what that look meant. Ionescu scored a career-high 36 points and No. 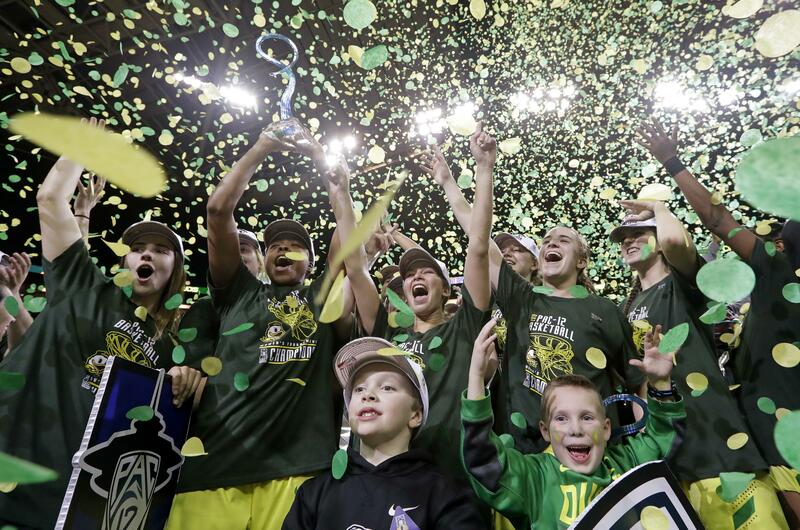 6 Oregon won its first Pac-12 Conference women’s tournament title beating No. 16 Stanford 77-57 on Sunday night. Playing in their first conference tournament final, the Ducks looked every bit the part of a premier team heading into the upcoming NCAA Tournament. Ionescu was the star, as the Ducks (30-4) avenged one of their two regular-season losses in conference play. Ionescu was brilliant early, scoring 12 points in the first quarter, and took over late in the third quarter as Oregon held a double-digit lead most of the second half. Ionescu scored 19 points in the second half. “It was the Ionescu show today,” Stanford coach Tara VanDerveer said. A year ago, Oregon was the surprise of the NCAA Tournament, making an unexpected run to the regional final before falling to UConn. Now they’ll go into the tourney as one of the favorites. Ionescu is a big reason why. The sophomore has been a standout all season but saved one of her best career performances for the final. Ionescu set a championship-game record for points scored, hitting 14 of 24 shots, including a four of 3-pointers, the last of which set a career-high for points. Her 3 from the baseline with 6:17 remaining gave Oregon 19-point lead. Published: March 4, 2018, 9:28 p.m.